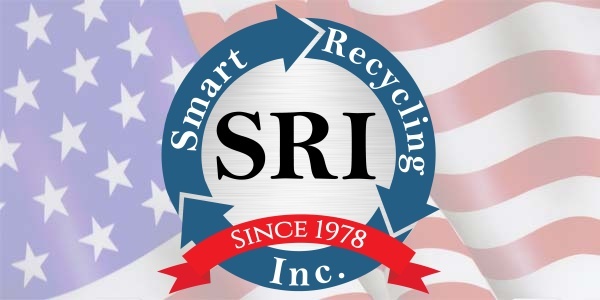 Scrap Metal Recycling Azusa, CA | Smart Recycling Inc.
Smart Recycling is a full service scrap metal service open five days per week. The radio-dispatched truck fleet is available on the same day, or inside twenty four hours of your call. You can relax knowing that any particular situation ıs going to be taken care of professionally and very quickly. Our organization includes a full service staff, including ample equipment to take on just about any job, whenever, wherever in the Azusa area. With Smart Recycling, expect the greatest selection of scrap metal recycling offerings and collection containers for recyclables in and around the Azusa area. From special solutions for reclamation, disassembly or collection, to distinguishing the aftermarket most advantageous to you, Smart Recycling’s professional abilities and versatility is second to none. Every single job is different. We are aware of that, and that’s why we offer “hands on administration” by our competent team members. We start off with a precise assessment of your situation, but it is the thorough attention we place on meeting your precise needs that maximizes your cash from every recycling effort. And that keeps our clients coming back repeatedly. In today’s rapidly changing environment, we see our clients as business partners and work faithfully at offering cost effective ways to recycle scrap metals and other recyclable materials. Our technicians possess the know-how, machines, and authorization to securely provide demolition services for industrial facilities, with each crew member having finished current OSHA (Occupational Safety and Health Administration) training and certification. We’re surely in a position to construct a custom plan that matches your plant’s demolition and clean-up requirements, regardless of how large or small the project. When you require containers for scrap metal collection and pick-up, and an experienced team of dispatchers, Smart Recycling is here to serve you. From logistics to transport, we will arrange for dependable and efficient scrap shipment from your scrap yard or production center to one of our 4 recycling facilities. If you will need a roll-off container for your manufacturing center, construction site, clean-up project, or at your recycling center, we will dispatch it on-site and in time. The most common metals picked up by scrap yards include copper, steel, aluminum, brass, iron and wires of all variations. Having said that, your own local scrap yard will certainly process additional metals for recycling and provide you with cash payouts for your scrap metals. If you are unsure what you have or what you should do, call Smart Recycling and we’ll have a friendly professional reply to every one of your questions for you. When you are trying to recycle scrap metal it’s valuable to establish what variation of metal you possess. 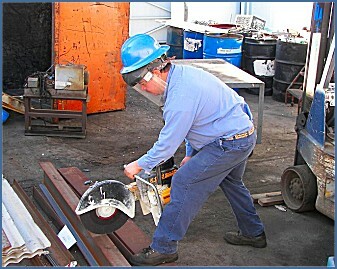 The easiest way to determine what type of metal you’re dealing with is to use a magnet. If the magnet stays to your metal, you may have a ferrous metal in your hands, such as steel or iron. If the magnet does not stick, you have a non-ferrous metal, such as copper, aluminum, brass, stainless steel or bronze. These metals are likely to be more desirable to a business like Smart Recycling. From there, you can use colors, feel and other visual aids to figure out precisely what variation of metal you are dealing with. If you are still unclear, give us a call and we will be glad to aid you in any way we can. Yes. Not only does Smart Recycling furnish containers for continuous generated scrap, we will also make available custom sized bins of any size to accommodate handling and sorting needs. How is the cost per lb established and maintained for present and future acquisitions? All metal prices are set upon market conditions daily. The process mainly applied by Smart Recycling is based on the published Metal Market Report found in the American Market Journal; which may be provided if requested. Utilizing this system as a guide, an agreed upon margin of plus or minus published values can be set for all future purchases. Once we make a request for service, how much time is going to it take for the actual pick up of our scrap? When a call for collection is placed before 10 am of any weekday there exists a extremely good likelihood of getting same day service. However, all service calls received will be satisfied no later than next day guaranteed. Special need conditions are dealt with expeditiously. How promptly will we receive payment after analysis, weigh in and pick up? It is solely at the discretion of the agent representing its company, routinely, payments are produced inside a thirty-day duration of receiving metals. Nevertheless, Smart Recycling will pay out for all settlements during the time frame determined by our customers. Salvatore J. Russo established Smart Recycling as Russo Metal Company in 1978. Back then the emphasis was purely industrial scrap. As time went on, the recycling unit was established, and after that surplus sales, then Dumpster rentals. In 1995 Russo Metal Co. was incorporated under the name Smart Recycling, short for Scrap Metal And Recycling Technologies.